Jane FONDA had two Academy Awards for 1971’s “Klute” and 1978’s “Coming Home,” and received five other Oscar nominations between 1969 and 1986. Fonda has also won three Golden Globes, an Emmy and the 2014 AFI Life Achievement Award. Jane FONDA has been selected to recieve the Santa Barbara Film Festival's tenth annual Kirk DOUGLAS Award for Excellence in Film, which will be presented to her at a black-tie gala dinner at Bacara Resort & spa in Santa barbara in October 3. 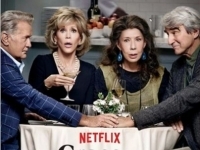 She also appears in the Netflix comedy series "GRACE and FRANKIE" which is curently filming its second season. 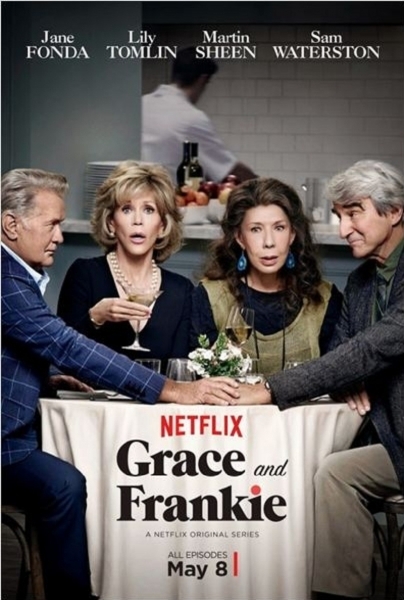 This series was created by Marta KAUFFMAN and Howard J. MORRIS, broadcasted since May 8, 2015. With Lily TOMLIN, Martin SHEEN, Sam WATERSTON,... Synospis : A pair of eival find out their husbands want to run off with each other. Since 2006, the Kirk DOUGLAS Award has been given to a life long contributor to cinema through their work in front of the camera, behind, or both. Past Honories include Jessica LANGE, Forest WHITAKER, Robert DE NIRO, Michael DOUGLAS, Harrison FORD, Quentin TARENTINO, Ed HARRIS, John TRAVOLTA.